Wotan City, LADONIA — The Ministry of Finance is planning to issue new postage stamps on Ladonia National Day (2 June), and has decided to ask the public to submit proposals for art/designs for the stamps. The deadline for submitting postage art is 30 April. Anyone interested in submitting art for the postage stamps is asked to send a sample/mock-up of the proposed stamp to info@ladonia.org in JPG, GIF, or PNG format. A vector or PSD file will be required if your art is chosen. The stamps should reflect a value of “5 Örtug” and showcase Ladonian culture or life. The winners will be notified via email, and winning submissions will be displayed in the New Herald. 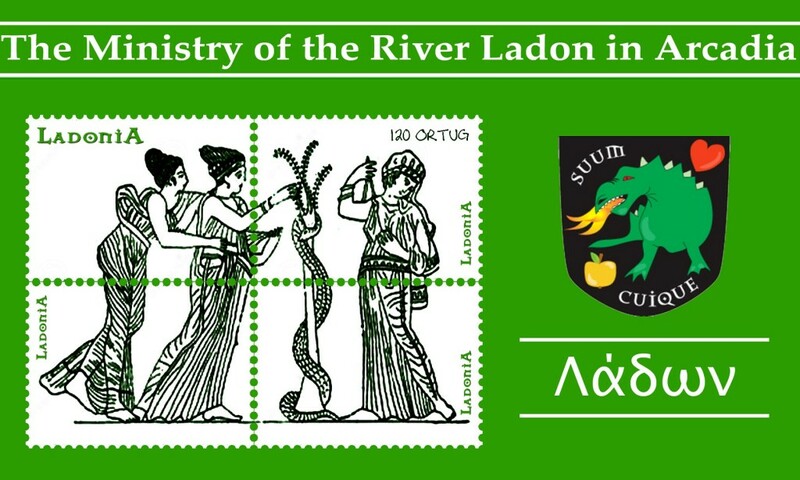 A proposed stamp design submitted by the Ministry of River Ladon. This is brilliant that Ladonia has its own stamps. I really can’t wait for my visit there!